Inching ever closer to their release date on May 30th through Transcending Obscurity Records, we have teamed up with India’s Plague Throat to premiere a new track from The Human Paradox. This particular track is titled “Inherited Failure” and can be streamed below. As always, if you like what you hear, you can pre-order the album HERE or click on the Bandcamp widget below, where you can hear more of the album. The first 50 CD orders will get a free badge. As for the track itself, those who enjoy brutal death metal that hangs on the technical side will get a charge out of “Inherited Failure.” Thick, massive guitars rumble on some of the groovier moments, which bring to mind Suffocation in that sense. Some explosive speed ensues as well, and this is where some of the more technical material sprinkles its way in to great effect. Some great pacing and plenty of ferocity round the track out – having the sensibilities of classic death metal while wrapping in some modern “wow factor” to keep it balanced. Enough to wet your appetite until May 30th arrives. 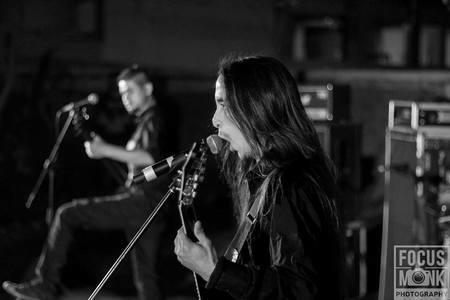 Indian death metal greats PLAGUE THROAT release their highly awaited full length debut after putting out a stunner in An Exordium to Contagion EP. And if their single was anything go by, the band’s sound is only getting more powerful and relevant by imbibing influences of both brutal and technical death metal while remaining rooted in the classic death metal style. These are ten unrelenting and supremely passionate songs that will have any metalhead banging his head in ridiculous fashion. Catchiness has always been a trait for this band but it’s never at the expense of the heaviness. With a faultless production to boot, The Human Paradox will become a death metal staple for old and new fans alike all around the world.